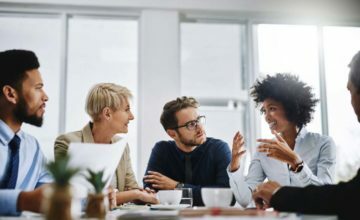 Managers who listen attentively could boost their team members’ creativity, suggests a new study from the Hebrew University of Jerusalem and King’s Business School at King’s College London. Published in the American Psychology Associations’ journal Psychology of Aesthetics, Creativity, and the Arts, the international study of nearly 700 participants used surveys and laboratory experiments to show that employees who felt that they were being listened to were more likely to rate themselves as creative, to be more prolific in their output in a creative task and to produce higher quality work. Their study also found that these positive effects do not take place when managers are distracted while listening to them. In contrast with most research on creativity, which focuses on how people can make themselves more creative by listening to others and absorbing their ideas, this research focuses on the role of the manager and on the difference that can be made in one-on-one interactions. Dr. Dotan Castro at Hebrew University’s Federmann School of Public Policy and Government explained that the series of studies was designed not just to establish the connection between creativity and being listened to but also to understand the reason for this link. “When an employee feels listened to, it enhances their sense of psychological safety. It may be that this boosts creativity because they can focus more on the creative task; they aren’t wasting mental energy on making micro-calculations about how their manager might respond to what they are saying,” Castro shared. The scientists’ final laboratory test explored the impact of the quality of listening on an employee’s creativity by placing a flickering screen in the listener’s eyeline. The speakers were unaware of the presence of the screen, and were tasked with coming up with as many creative slogans as they could for an imaginary product. Those who had a partner distracted by the screen gave their listener a poorer score for listening. More importantly, these speakers came up with fewer slogans and these were typically rated as less creative, by independent judges, than those produced by the group with ‘good listeners’.